The meeting continued for over an hour; Defense Minister Ehud Barak, Foreign Minister Avigdor Liberman and National Security Advisor Maj.-Gen. Yaakov Amidror (ret.) also attended. Prime Minister Netanyahu and Russian President Putin will soon deliver statements to the media and, afterwards, will sit down for lunch. They will be joined by Vice Premier Shaul Mofaz, Public Diplomacy and Diaspora Affairs Minister Yuli Edelstein and coalition chairman MK Zeev Elkin. Russian President Putin was welcomed to the Prime Minister’s Jerusalem Residence by the Prime Minister’s wife, Sara Netanyahu. President Putin, Vladimir, I want to welcome you and your delegation to Jerusalem. Mr. President, this is your second visit to Israel as President. 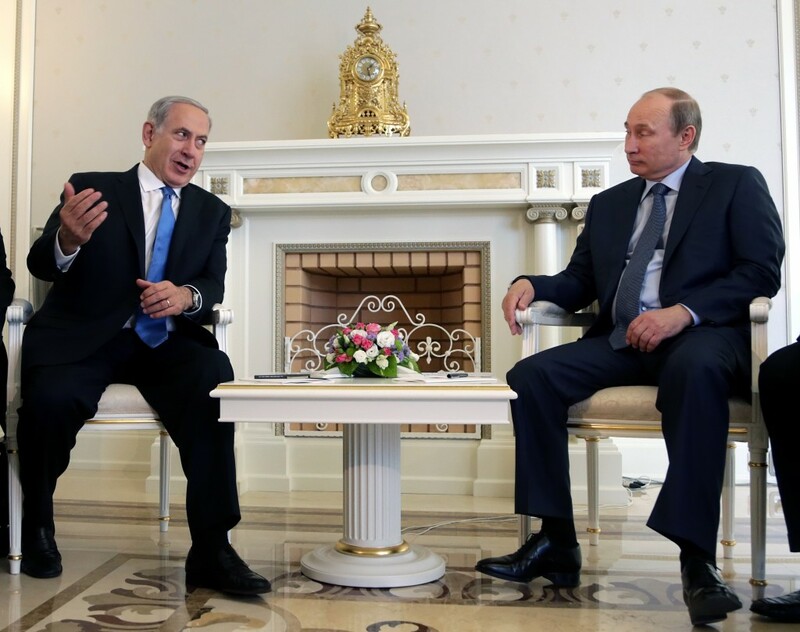 Following your first visit to Israel seven years ago, Israel and Russia significantly upgraded their relations. You mentioned the considerable expansion in trade, the economy, culture, science, technology and tourism. The foundation for the relations between our two countries is not only common interests, but the more than one million Russian-speaking Israelis. They constitute a vast human bridge, and, in just a few short years, the Russia-speaking immigrants from Russia and the former Soviet Union have become an integral part of Israeli society. Minister of Public Diplomacy and Diaspora Affairs Yuli Edelstein; Minister of Tourism, Stas Misezhnikov; Minister of Immigrant Absorption Sofa Landver; the chair of our coalition, Zev Elkin; Natan Sharansky, who heads the Jewish Agency; Eugene Kandel, my national economic advisor; and many others. I must say that, rumors to the contrary, I do sometimes work with people who are not Russian speakers, but there is no doubt that the public of Russian-speakers in Israel truly serves as a living bridge between Israel and Russia. A lot of people are crossing that bridge. In the past year alone, over half a million Russian tourists came to Israel. That’s an enormous number for a country the size of Israel. It has multiplied by a factor of seven in the three years since we eliminated the need for visas from Russia. Tourists from Russia come to Israel because they like this country; they like the sun; they like the sea; they like the history, the holy sites, and we look after these as if they were the apple of our eye. In the Middle East, Israel safeguards freedom of religion. All this means that Israel is a country in which Russian tourists can feel at home. Mr. President, you are coming at a time of tremendous changes in our region. Yesterday, Egypt elected a new President. Israel appreciates the democratic process in Egypt and respects the results of its elections. We look forward to working with the new government on the basis of our peace treaty. I believe that peace is important to Israel; I believe that peace is important to the Egyptians; I believe that peace is a vital interest for both countries; and I believe that peace is the foundation for stability in our region. We just had the chance to discuss the current negotiations between the international community and Iran. We agree that Iran’s continued pursuit of nuclear weapons is a grave threat first and foremost to Israel, but also to the region and to the world. 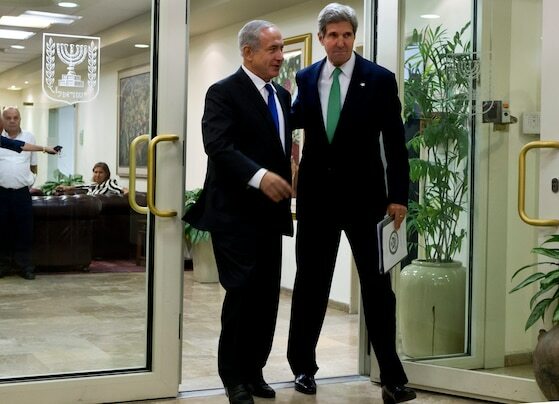 Israel believes that the international community should have three clear demands of Iran: Stop enriching uranium inside Iran; remove all the enriched uranium from Iran; and dismantle the underground nuclear facility near Qom. That is why Israel believes the international community must now do two things: ratchet up the sanctions against Iran; and also ratchet up the demands that are being made of Iran. Mr. President, we all aspire to peace. I look forward to discussing with you ways in which Russia can help Israel and the Palestinians advance peace, even during these challenging times, maybe especially during these challenging times. There is a slight difference between us that we discussed prior to beginning the press conference. Mr. President, when you want to visit a neighboring country, you usually fly from Moscow for several hours. Our neighborhood is much smaller. Tomorrow, you will meet with President Abbas in Bethlehem, which is a four to five minute drive from here. Ramallah is only ten minute’s drive from here. The key to peace is complex, but in the end it is very simple: either President Abbas must come here or I must go to him, and I am willing for either of these possibilities to occur, however we must begin to talk. I hope you convey this simple message tomorrow during your meeting in Bethlehem. Regarding our neighbor to the north, a way to end the killing and the terrible suffering of the citizens of Syria must be found, and peace, security and regional stability must be pursued as far as is possible during these turbulent times. Mr. President, two years ago during my visit to Moscow, I promised on behalf of the State of Israel that we would memorialize the historic role played by the Red Army in defeating the Nazis. Today, I am pleased to say, we kept that promise. You just came from Netanya, from the moving ceremony inaugurating that same memorial that recognizes the tremendous contribution of the Red Army in the victory over the Nazis. For us, memory is a part of our existence. We fight against Holocaust denial and we join in the fight against the attempt to deny the important role played by the Red Army in defeating the Nazi monster. This is a fundamental and important part of our heritage. Approximately half a million Jews fought in the ranks of the Red Army, including thousands of veterans who currently live in the State of Israel. Each year I meet them on Victory Day. They proudly wear their medals and I ask them, “For which battle did you receive this?” One tells me, “In the battle defending Moscow”. Another answers, “In Stalingrad”. A third says, “In Kursk”, and there are those who say, “Many places”. We salute them today. We salute all those who fought and sacrificed their lives for humankind. Mr. President, over the past twenty years, a special relationship between our peoples was built, and I am certain that your visit in Israel will greatly contribute to the strengthening and deepening of these ties in the years to come. Welcome to Israel. Welcome to Jerusalem.